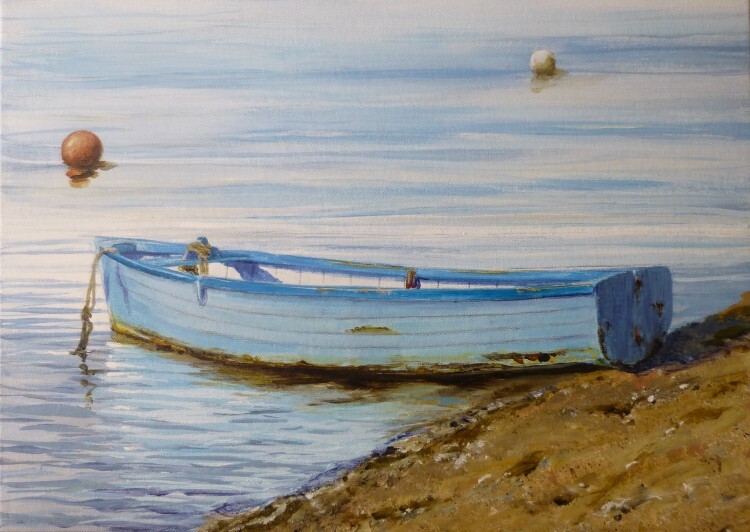 Here is the latest painting on the 2016 gallery page – Summer Dinghy. I found this one near the Monkey Beach at West Mersea, months ago. It was a lovely one to paint over the last few freezing cold days! The sea was as calm as a mill pond . 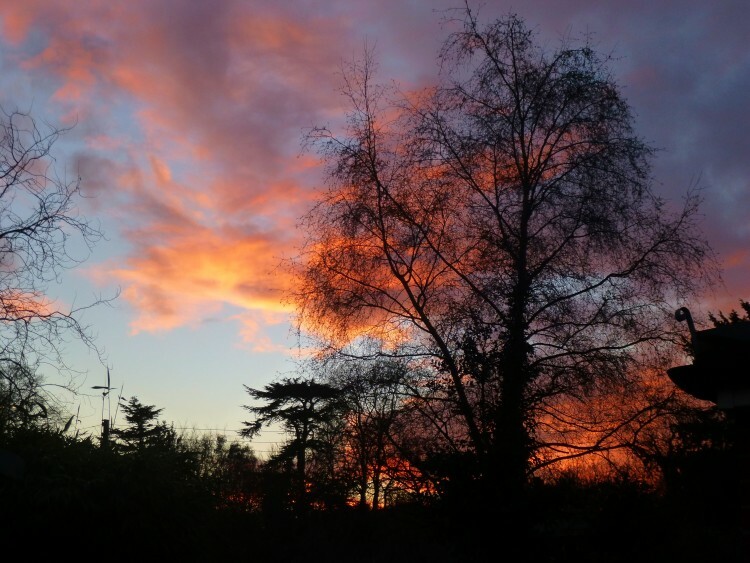 . .
And here’s another winter sunset that I thought you might enjoy. Fiery winter sunsets are the best!